Get a FREE E-BOOK of Mama's Most Popular Recipes! Making gluten-free simply delicious for the whole family. Using easy to find ingredients that won't break the budget. Thank you for sharing this recipe! 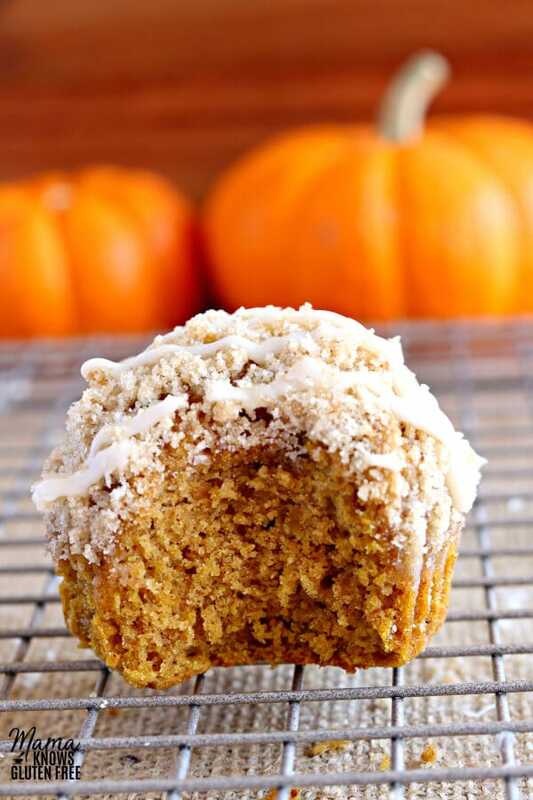 Gluten-Free Pumpkin Crumb Muffins. 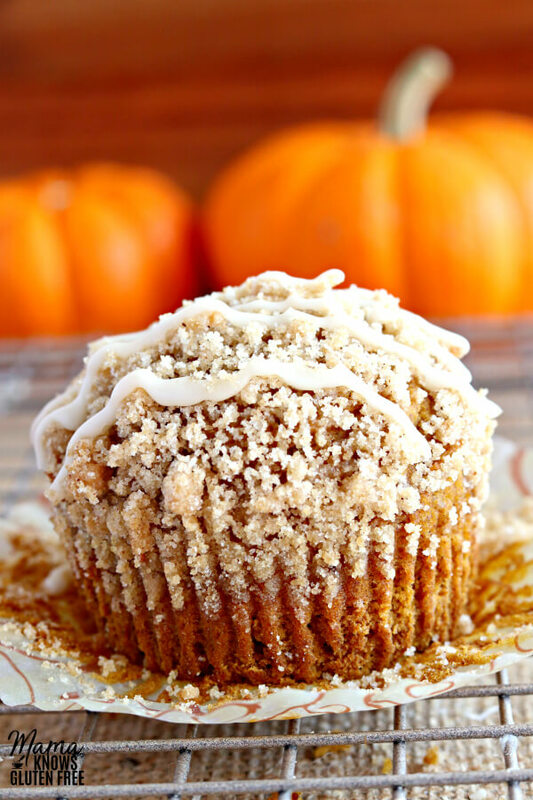 Soft and moist pumpkin muffins with a brown sugar crumb topping and vanilla maple glaze. The recipe also includes a dairy-free option. Muffins are one of my favorites things to bake for my family for breakfast, as a snack or a special treat. They are super easy to make and most of the time don’t even require a mixer! One of my favorite flavors to make is pumpkin muffins. 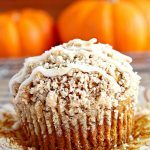 These gluten-free pumpkin muffins are taken to the next level with a brown sugar crumb topping and a vanilla maple glaze. This gluten-free muffin recipe is super easy! The first thing you are going to want to do is to pre-heat your oven to 350°F and line or spray your muffin tins. 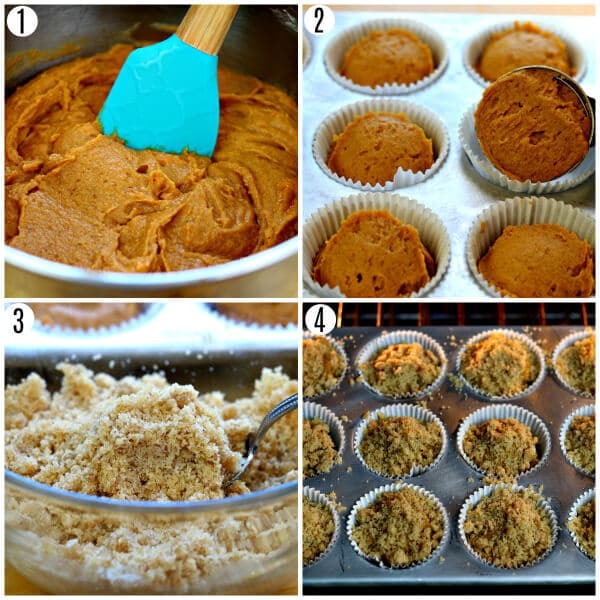 The first step to the muffin batter is to add the canned pumpkin, baking soda, brown sugar, granulated sugar, pumpkin pie spice, ground cinnamon, and salt to the bowl and mix together until all of the ingredients are fully combined. Then add the eggs and the pure vanilla extract to the pumpkin mixture and mix until fully combined. Add the gluten-free flour and baking powder to a small bowl or glass measuring cup and give it a quick stir and then pour into the pumpkin mixture. I like Pillsbury gluten-free flour. Not all gluten-free flours are created equal. You may experience different baking results depending on the gluten-free flour blend you choose. 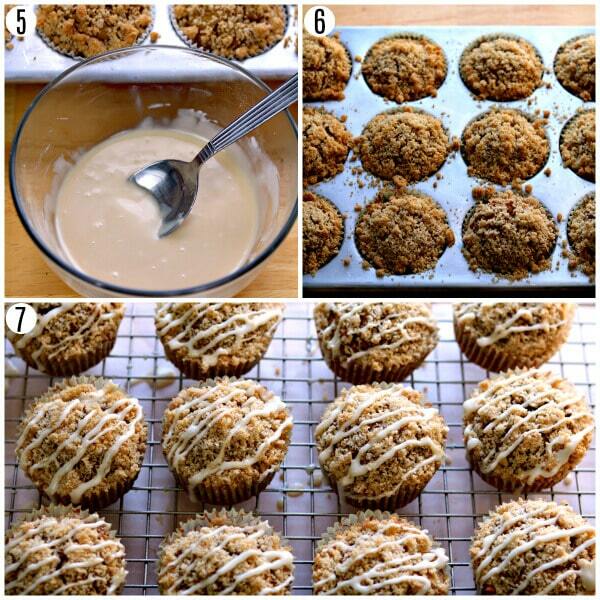 Drizzle the vanilla maple glaze over the tops of the muffins and enjoy! (photo 7) Store in an air-tight container in the refrigerator. Always bake with ingredients that are at room temperature. Cold ingredients do not mix as well with room-temperature ingredients. For uniformed sized muffins, I always use an ice cream scoop. It makes it nice and easy to get the perfect amount in the baking pan. I also like to use cupcake liners to keep the muffins from sticking to the pan. I also like to use a cooling rack to help the muffins cool faster. Do not leave your muffins to cool in the pan. I have also included a dairy-free option to my gluten-free pumpkin muffin recipe. My husband, my youngest son, and I are all dairy-free. I promise it is just as delicious made with the dairy-free butter. Some of my favorite dairy-free alternatives that I like to bake with are almond, cashew or coconut milk. I also like baking with coconut oil or Earth Balance or Smart Balance butter. So, you too can enjoy gluten-free and dairy-free pumpkin muffins. I love how easy these gluten-free muffins are to make. 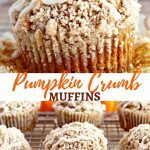 The muffins are super moist and full of the pumpkin spice flavor everyone loves. I can’t get enough of the brown sugar crumb topping and vanilla maple glaze! Let’s Connect! 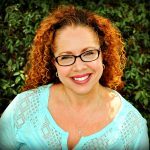 You can FOLLOW ME on Facebook, Instagram, or Pinterest! 1 1/2 cups gluten-free all-purpose flour I like Pillsbury gluten-free. Not all gluten-free flours are created equal. You may experience different baking results depending on the gluten-free flour blend you choose. 1/4 teaspoon xanthan gum Leave out of your flour already has it in it. 1 1/2 teaspoons milk For dairy-free use almond, cashew or coconut milk. Pre-heat your oven to 350° F and line or spray your muffin tins. Add the canned pumpkin, baking soda, brown sugar, granulated sugar, pumpkin pie spice, ground cinnamon, and salt to the bowl and mix together until all of the ingredients are fully combined. Add the eggs and the pure vanilla extract to the pumpkin mixture and mix until fully combined. Add the gluten-free flour and baking powder to a small bowl or glass measuring cup and give it a quick stir and then pour into the pumpkin mixture. I like Pillsbury gluten-free flour. Not all gluten-free flours are created equal. You may experience different baking results depending on the gluten-free flour blend you choose. Pour in the melted butter into the muffin batter and mix until fully combined. The muffin batter will be thick. Scoop the batter into baking cups lined/cooking sprayed muffin tin. I like to use an ice cream scoop. Sprinkle crumb topping on top of the muffins. I usually use about a tablespoon per muffin. Bake the muffins for 25 minutes at 350 ° F, or until a toothpick into the center comes out clean. Please watch your muffins because all ovens are different. In a small bowl add all the glaze ingredients and stir until it becomes smooth. Drizzle the glaze over the tops of the muffins. Enjoy! Store in an air-tight container in the refrigerator. For the dairy-free option use Smart Balance butter. Store in an air-tight container and keep in the refrigerator. © MAMA KNOWS GLUTEN FREE. All images & content are copyright protected. Please do not use my images without prior permission. If you want to republish this recipe, please link back to this post for the recipe. 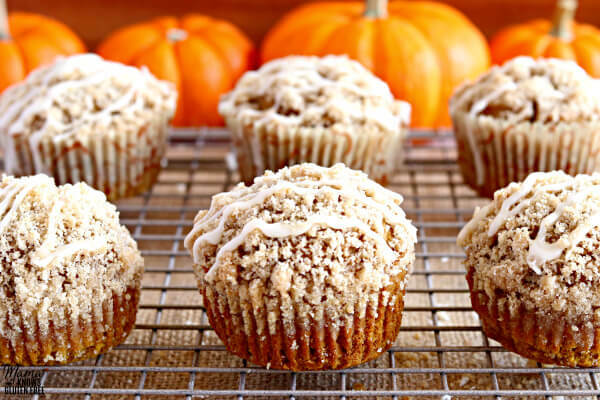 These are our FAVORITE pumpkin muffins. They are easy to make and look impressive. My kids can’t get enough of them! I don’t usually make the icing on top just because my kids can’t wait long enough for it! Thank you Mollie for the amazing 5-star recipe review! I am so happy that these are your family’s favorite pumpkin muffins. My kids love them too. Thank you again! These were SO GOOD! Everyone gobbled them up! Thanks for the great recipe! Thank you so much for the wonderful 5-star recipe review Joansy! I am so happy that everyone enjoyed the pumpkin muffins. You are so welcome I love sharing what I make for my family! Thank you again! Get a FREE E-BOOK of Mama's Most Popular Recipes! Join the community and get all the latest tasty goodness straight to your inbox! MAMA KNOWS GLUTEN FREE IS A PARTICIPANT IN THE AMAZON SERVICES LLC ASSOCIATES PROGRAM, AN AFFILIATE ADVERTISING PROGRAM DESIGNED TO PROVIDE A MEANS FOR SITES TO EARN ADVERTISING FEES BY ADVERTISING AND LINKING TO AMAZON.COM. PLEASE VISIT MY DISCLOSURE PAGE FOR MORE INFORMATION.